Jean E. Pendziwol is the award-winning author of eight published children’s books. 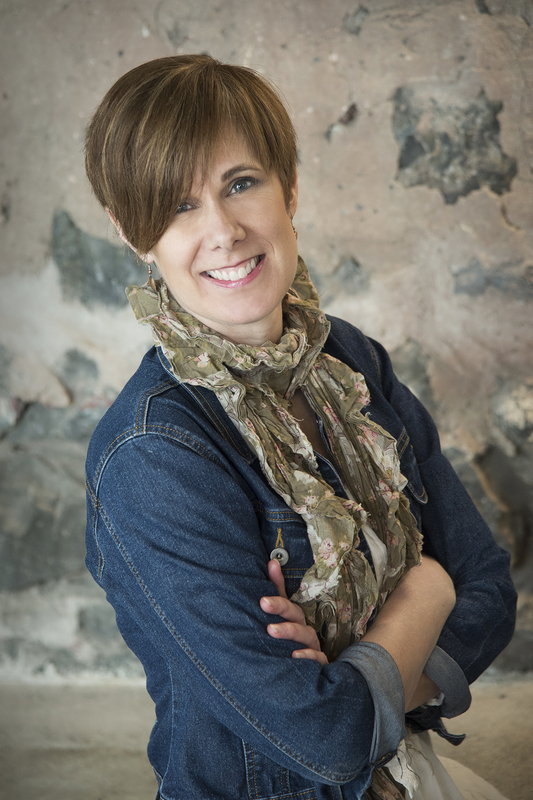 Her debut adult novel, The Light Keeper’s Daughters, will be published in 2017 by HarperCollins; her latest children’s book, Me and You and the Red Canoe, will also be published in 2017 by Groundwood Books. You can find her online at http://www.jeanependziwol.com/. Shauna Kosoris: Your writing career began with the publication of the picture book No Dragons for Tea: Fire Safety for Kids (and Dragons), which was published in 1999. What inspired you to write this book? Jean E. Pendziwol: My writing career actually began a few years before that. Prior to having kids, and continuing on a casual basis after they were born, I worked as a freelance writer, mostly for trade publications. I researched, wrote, photographed and did editorial coordination. Having young children re-exposed me to children’s books, and in particular, picture books. I love the format – the partnering of images and text, the challenge of working within a limited number of words, and, especially at that time, the ability to hold a story completely in my head before I even put pen to paper. No Dragons for Tea was inspired by my daughter. At that time, she was extremely afraid of fires, and more so, by fire alarms. I was concerned that she didn’t have the necessary tools to respond in an emergency situation and searched out resources. What I found were a number of books about fire safety that were all either didactic or frightening. With the help of our local fire prevention officer, Brian Berringer, I came up with the idea for the book. I was thrilled when Kids Can Press wanted to publish it! I was fortunate in that it was timely, relevant, accessible and engaging and it carried an important message. I love that it spawned a whole series of engaging safety stories for children, too! Right now you’ve published eight picture books, with another one tentatively scheduled for release next year. What is the appeal of writing for children? I love the challenge of writing picture books. There is a misconception that because the stories are short and for children that writing them is a simple task. It’s actually one of the hardest genres to get published in, which I fortunately didn’t know at the time I headed down that path. Several of my picture books are poems, and while written for children, have a universal appeal. 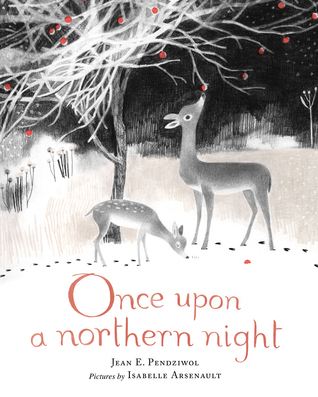 Once Upon a Northern Night in particular has touched many people. I love that my stories speak to people in an intimate way. And because I value and respect children, I want to create something for them that is valuable and respectful. What’s the hardest thing for you when writing a picture book? There are so many audiences to keep in mind. The audience for the story is a child, but it also needs to speak to the adult who will be making the decision to buy or borrow the book. Picture books are most often read out loud, and read many times over, and as a writer, these are things I need to consider. Your debut adult novel, The Light Keeper’s Daughters, is due out next summer. What made you switch your focus from writing children’s books? I haven’t. I love and will always love writing for children; this is just another branch of the same writing tree. When I first started working on The Light Keeper’s Daughters, I intended for it to be for middle grade or young adult readers. But as the characters began to take shape on the page and the themes and plot evolved, it settled into a story more suited to an adult audience. I was also at a point in my life where I was able to devote time to a more involved, lengthy writing process necessary for a novel-length story. Has it been hard switching from writing for children to writing for adults? For me, writing is always a learning process. Skills applicable to children’s writing are also important for adult writing; keeping the audience in mind; respecting the reader; ensuring that the voice remains consistent; and keeping the pace appropriate. I think my tendency to be a concise writer has served me well in my work for children and that has carried over to my writing for adults as well. What can you tell me about your new novel? The Light Keeper’s Daughters features two fascinating women, Elizabeth, who is elderly, blind and living in a senior’s home, and Morgan, a teenager completing community service hours for spray-painting graffiti. They are drawn together after the discovery of journals penned by Elizabeth’s father when he served at Porphyry Island as lighthouse keeper nearly sixty years ago. As they decipher the musty words, they realize they are connected through Elizabeth’s enigmatic twin sister, Emily, their lives shaped by the harsh Lake Superior environment and the secrets kept by a family for a lifetime. I look forward to reading it next year! So what are you working on now? Fair enough. What book or author inspired you to write? I grew up sailing on Lake Superior, so had plenty of time for reading. Interestingly, I never envisioned myself being a novelist, although I always loved to write. Some of my favorite books included the Mary Stewart series about Merlin and King Arthur (The Crystal Cave, The Hollow Hills), Clan of the Cave Bear (Jean M Auel), Nancy Drew, Agatha Christie, Ken Follet. As a young child, I read Enid Blyton, and had A.A. Milne read to me. I think that’s a difficult question – readers are so diverse, which is wonderful. Not everyone likes the same kind of book. Some of my favorites (other than the ones noted above) include To Kill a Mockingbird (Harper Lee), The Thirteenth Tale (Diane Setterfield), Balzac and the Little Chinese Seamstress (Dai Sijie, Ina Rilke), All the Light We Cannot See (Anthony Doerr), Skellig (David Almond) and the Little House books by Laura Ingalls. Oh, and Because of Winn Dixie (Kate DiCamillo) – pure genius in my opinion. I just finished The Illegal (Lawrence Hill), I’m reading Fifteen Dogs (Andre Alexis), and have Amy Jones’ We’re All in This Together on the list. I’m also re-reading some of my favorite middle grade books, looking at them from the perspective of a writer, including The Lion the Witch and the Wardrobe (C.S. Lewis), Coraline (Neil Gaiman), Little House in the Big Woods (Laura Ingalls), and Holes (Louis Sachar). And, of course, Because of Winn Dixie.